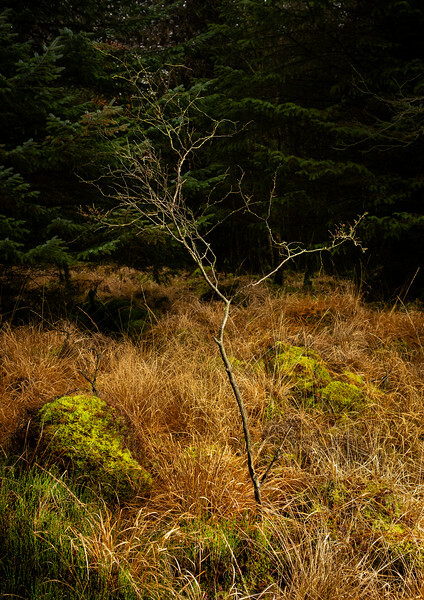 Using artificial light to enhance natural woodland colours on a dark grey November afternoon. 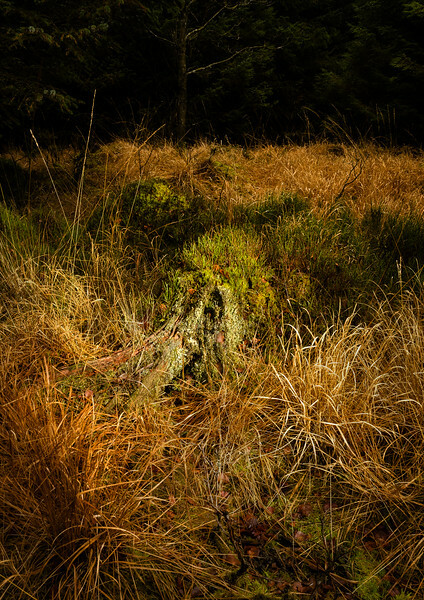 Decaying tree stump with moss and lichen. Young birch trees, sheltered by pines, grow through the carpet of moss. 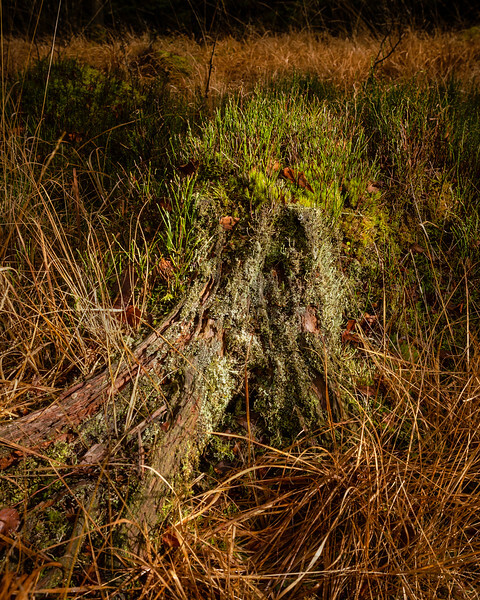 Carpet of mosses on the forest floor. 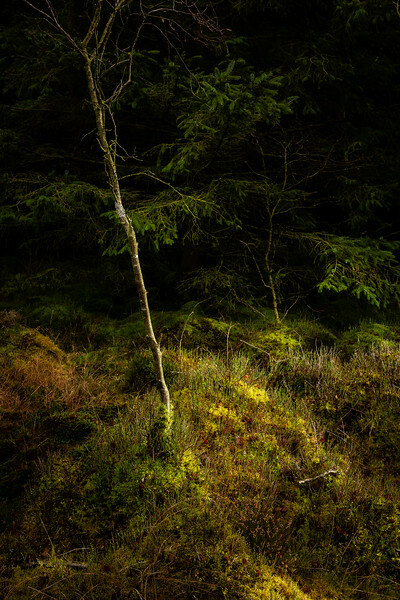 A birch sapling grows from the carpet of moss covering the forest floor. 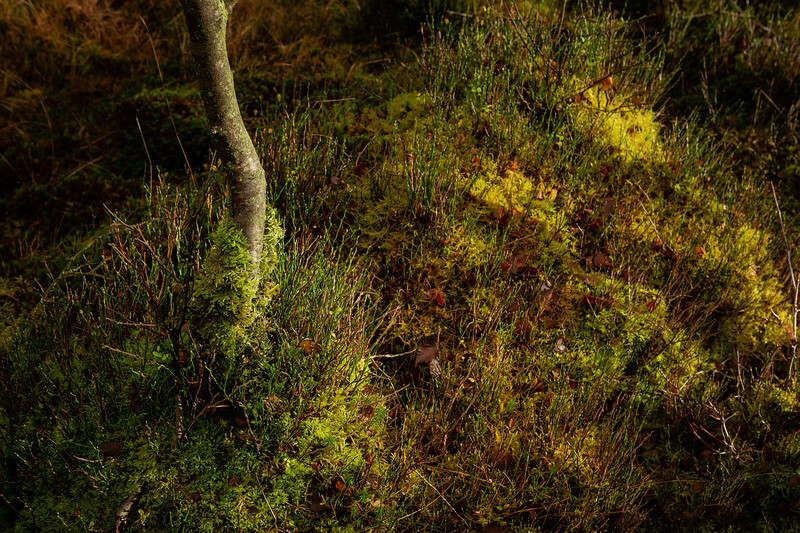 detail of the forest floor around a birch sapling. 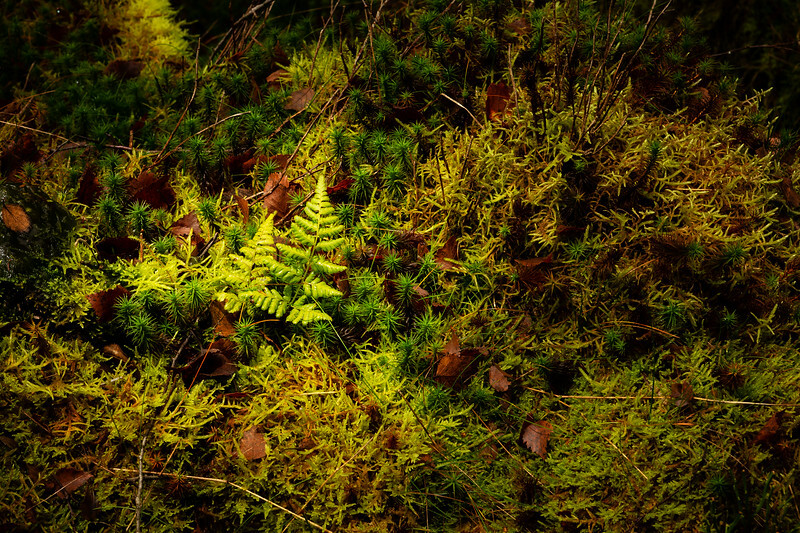 A small fern sprouts from the mossy forest floor.